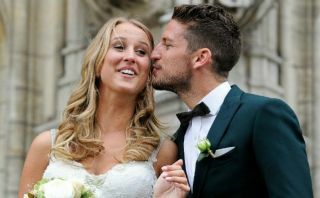 Napoli forward Dries Mertens tried bantering off his missus but it backfired absolutely spectacularly. The Belgium international is known for his witty social media antics, and posted a funny caption to an image of himself looking somewhat shocked during a recent game. See the exchange for yourself below, but we can safely say Kerkhofs is the clear winner here. Unlucky, Dries. And his wife Kat Kerkhofs destroyed him with this zinger!